Trayvon Martin. I would be remiss if I didn't remember him today. He could have been my student. He could have been my nephew. He could have been my little cousin. He could have been my son. Hubs and I talk all the time about what we'll have to tell our little ones about being a Black boy or girl in this world. 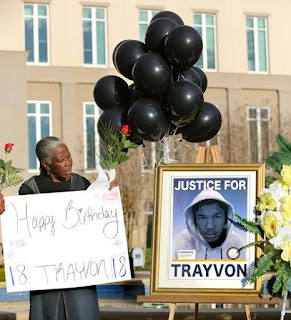 Trayvon's story is just a reminder that childhood just isn't protected the way that it should be. Trayvon's case made the news. Who knows how many stories of wrong place/wrong time/wrong appearance are out there. May his parents find some peace today and every other day that they have to face the bitter reality of life without their son. Until next time. . . keep lifting up our children.